/ Use Mac-formatted Apple iPod Nano on a Windows PC? 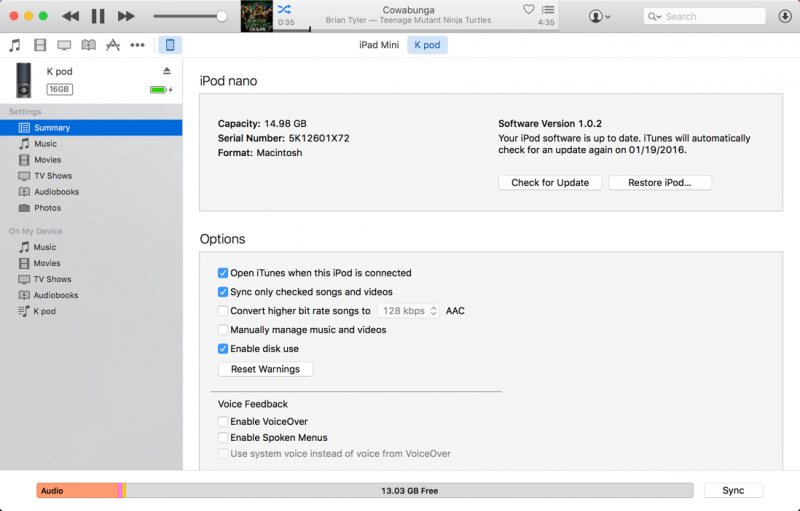 Use Mac-formatted Apple iPod Nano on a Windows PC? My son gave me his old Apple iPod Nano (the rectangular one with the wheel controller) and when I plug it into my Windows 7 system, it just complains that it’s a Mac format device and won’t let me do anything other than reformat it. How can I use it as an iPod?? While Apple has released many generations and styles of different iPod units they’re all still basically a hard drive with fancy software to make them seem like sleek, easy to use music and media players. Most of the earlier generation of iPods also have the ability to serve as an external hard drive for your computer too, and it’s likely that’s related to the message you are seeing: when first set up, an Apple iPod is either formatted at the drive level to be Mac OS X or Windows compatible. Let me step you through what you’re likely seeing and explain what’s going on, then show you how to proceed! What I particularly like about this whole crazy experience is that even with one or more of these windows showing, whether you respond or not, iTunes will also be busy installing new software that, I dunno, helps it work with a Mac formatted iPod? To fix the problem you might be tempted to “Format Disk” from the first dialog box, but that’s not quite right, that will reformat the “shared drive space” on the iPod, not the iPod itself. To properly remedy this problem, you’ll need to use the Restore feature within iTunes on your Windows computer and let it wipe everything completely. Ultimately, though, the fix is within the Windows system, so once you’ve copied off anything you want to keep from the iPod Nano, unplug it from the Mac, plug it back into your PC and use the “Restore” feature on the Windows version of iTunes to wipe and reformat the unit, ready to use just as if you’d bought it from Apple directly. Use the “Restore iPod…” button and after it chugs away for a while, you’ll be good to go!